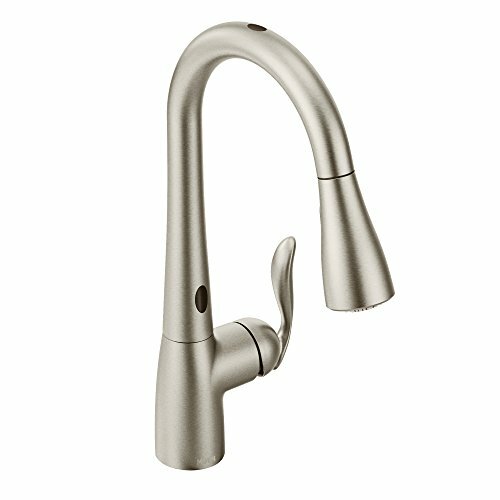 After comparing these three models based on various metrics like functionality, design, performance, and value for money, we have found that the Moen Arbor Motionsense Touchless faucet is the best kitchen faucet for most people. 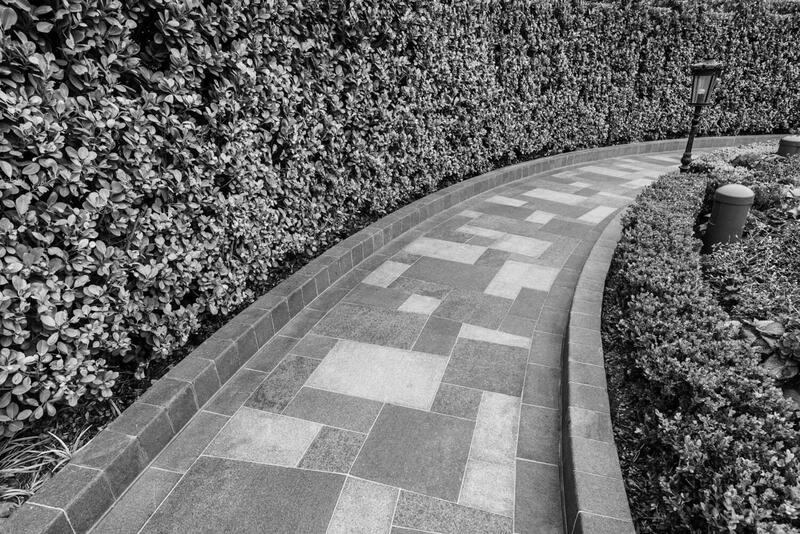 It is highly resistant to stains and comes with a 68” spray hose that allows for more flexibility. You just had dinner with your family. Everyone went off to do their thing, and you were left washing the dishes. You put your gloves on, get the washing up liquid and start rubbing. You turn on the water, and the water starts spraying all over you and the floor because the nozzle is too close to the sink! Just what you needed, right! Fortunately, there is a solution. All you need to do is get a faucet which sits high above the kitchen sink giving you enough room to maneuver the dishes and the faucet without getting water all over the sink, yourself or the floor. We have selected and tested three innovative and user-friendly faucets you can find online, and we are happy to share our findings with you. But don’t worry, the name is long for a reason. This Arctic steel single handle pull-down faucet is one of the latest faucets designed to make your life easier. How does it work? 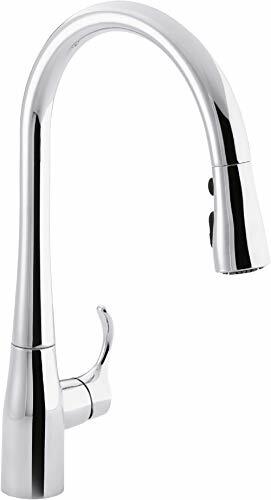 First off, thanks to its Touch2O technology, all you do is touch any part of the faucet spout or the handle, and the water will start or stop running. Furthermore, if you accidentally leave the water on, the faucet will automatically turn the water off after four minutes. You use the handle on the faucet to adjust the water temperature. The small light at the bottom of the faucet will show you how hot or cold the water is so you know what to expect. The faucet uses a ceramic disc valve to prevent water leaking and is guaranteed for five million uses, twice the industry standard. The magnetic strip at the docking part of the faucet helps the pull-down docking wand to stay docked in place when not in use. When you want to use it, gently pull it down, and it will disengage immediately, allowing you to move it around the sink area as you please. Its one-piece construction stops any leaking from the faucet and contamination of the water inside. It sits some 16’’ above the kitchen countertop which provides enough access to the sink area without you catching it. The faucet’s polished chrome finish adds a touch of elegance, making it look more like a piece of art than a kitchen fixture. 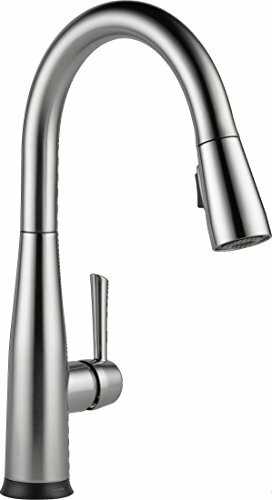 It is the best looking out of the three faucets we are reviewing. 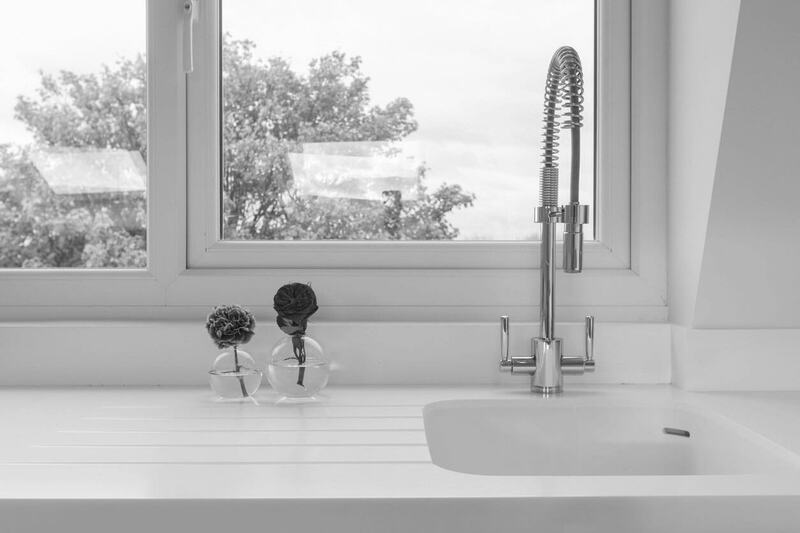 The spout, like with the previous faucet, rotates 360°, and the spray head pulls down seamlessly, allowing you to perform tasks in the sink or fill bowls or pots with water. This faucet also features a magnetic dock which will stop the spray head from dropping when it’s not being used. The spray head has touch control with three functions: pause, sweep or jet. In sweep mode, the jets are angled to allow for a wider spray of your dishes. The touch control is easy to use, you just use your finger to switch between different modes, while you are performing kitchen tasks. The faucet remembers which mode you used last as well. Every time you turn the water on, the temperature will be the same as the last time you used it, thanks to the temperature memory sensor. The Kohler faucet also has a ceramic disc valve which will stop water leaking for much longer than the industry standard requires. The faucet is made from durable metal to protect it from corrosion and tarnishing. 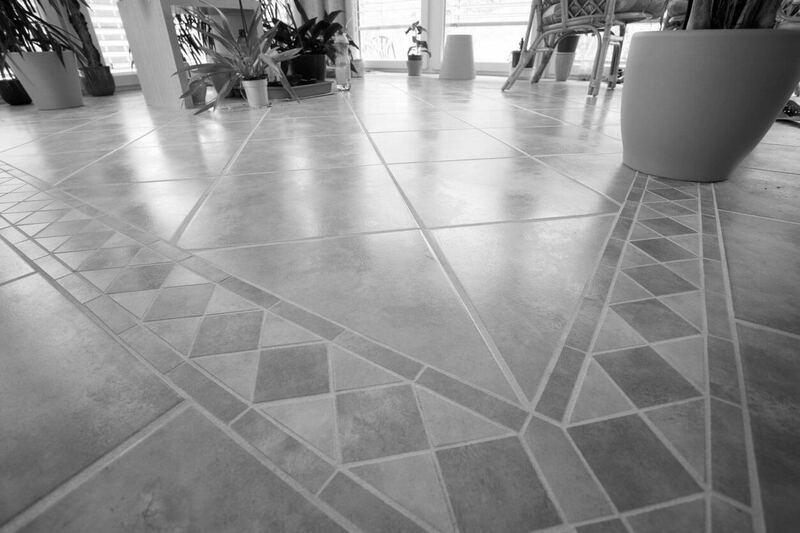 The surface is easy to clean, and the metal also ensures mineral build up is no issue. The spot resist and water mark resist stainless steel finish of this faucet is just one of the things that make this faucet stand out. For one, you won’t need to clean the faucet after every use, as it doesn’t leave marks. More time out of the kitchen is always a good thing. This faucet is also available with a polished chrome or bronze finish. The two sensors, one at the top of the faucet and the other at the bottom, allow you hands-free operation of the faucet. The Moen Arbor Motionsense technology detects your hand movements and directs the faucets accordingly. 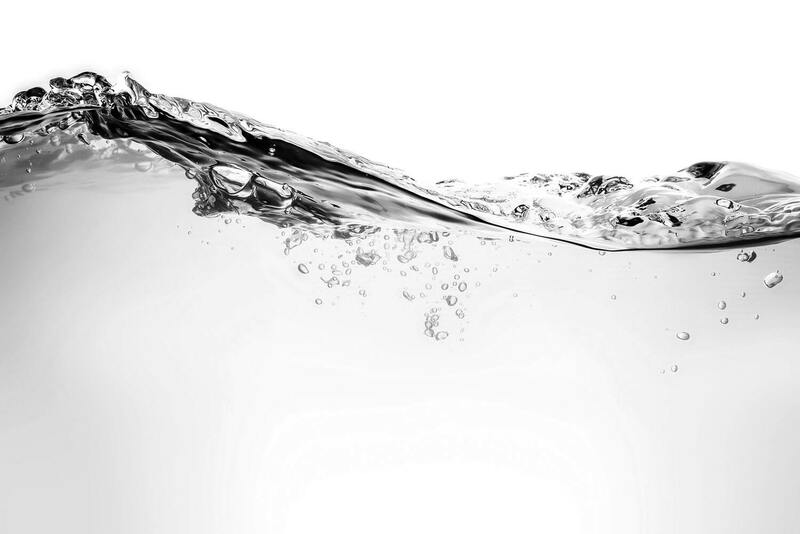 Move your hand over the top sensor, and the water will start or stop. Move your hand or cup or plate in front of the bottom sensor and again, the water will start running or stop. 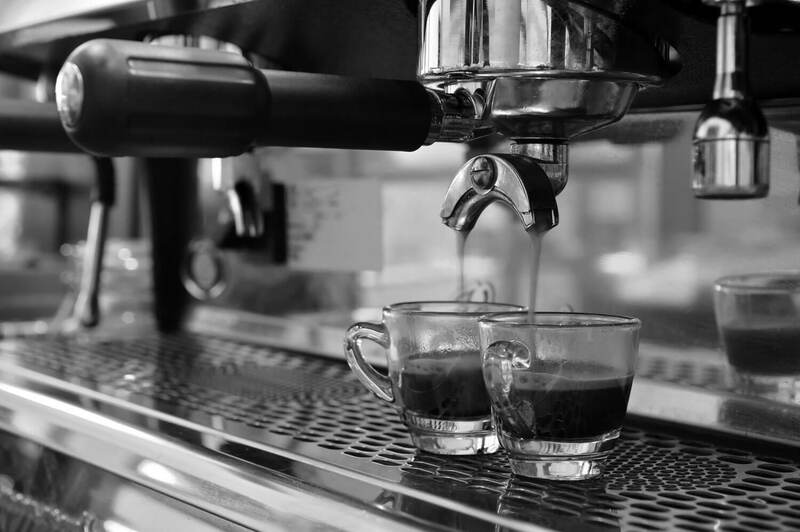 You only need use your hands to adjust the temperature and flow of the water via the handle on the side. The spray hose you pull out is an incredible 68’’ long, so, you can imagine all the things you can do with it. Watch out cats and dogs! Conveniently, the hose retracts to its original position by itself, once you are finished. Just let it go. All the features of the faucet make for an eco-friendly and germ-free kitchen sink area. Here, you find all the latest technology in faucet design and production. Having gone through the features of all three faucets, it appears that they are quite similar. However, only with the Moen Arbor faucet you get to choose between three designs. 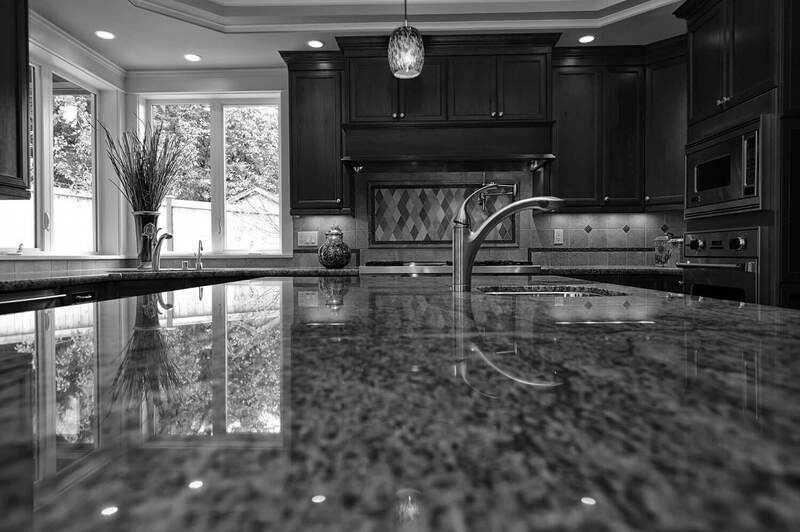 Still, the Kohler faucet looks like a piece of art and will make any kitchen look more stylish. All three faucets give an approximate 16-inch distance between the kitchen countertop and the spout. They all achieve the same flow rate of about 1.8 gallons per minute. And, two of the three have the same rating from Amazon customers. Prices are not far off each other but the Moen Arbor does have a very competitive price and is therefore very good value for money.